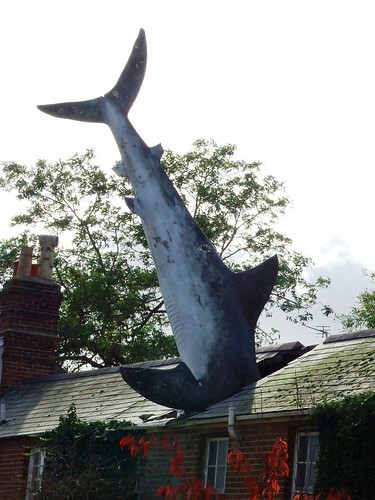 This strange shark embedded head-first in the roof of a house in Headington, Oxford, England was under attack from Oxford City Council right from the day when it first appeared on August 9, 1986. It was created by sculptor John Buckley for Bill Heine, who still owns the house. 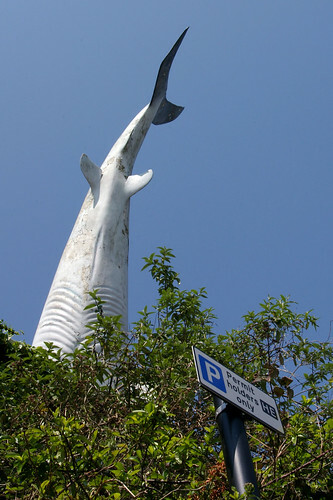 The City Council, however, were not happy with it and tried to have it taken down on grounds of safety, and then on the grounds that it had not given planning permission for the shark. After a long battle finally the shark won, when the Department of the Environment, UK ruled in 1992 that the shark should be allowed to remain. "The shark was to express someone feeling totally impotent and ripping a hole in their roof out of a sense of impotence and anger and desperation... It is saying something about CND, nuclear power, Chernobyl and Nagasaki". 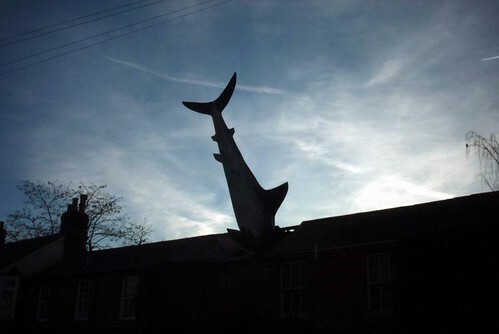 The shark is now a famous landmark and is nominated as one of 1160 English icons. It even has a "Headington Shark Appreciation Society" on the Facebook. Nice one - there's also an illustrated 25th anniversary book written by Bill Heine The Hunting of The Shark telling the whole bizarre tale.